Christmas Milk is a High Quality Eggnog. The creation of Christmas Milk began shortly after the adoption of an 8 year old boy. He kept asking his new "forever family" for a drink that he really liked. He did not know the name, nor could he describe it. All he could remember was that it "tasted like Christmas". 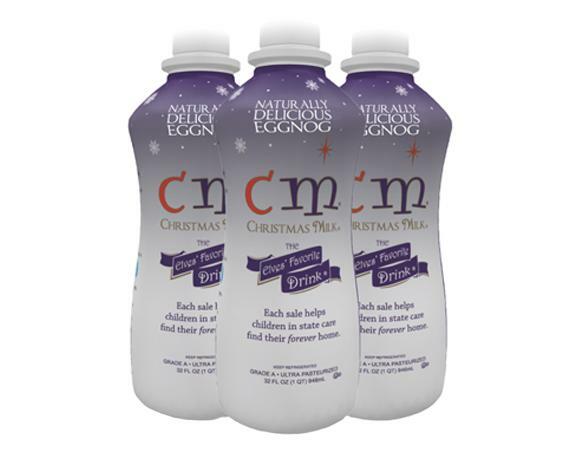 One day, the boy's parents gave him a taste of eggnog and he said with great delight "That's it - it's Christmas Milk!" So Christmas Milk was born. Never give up on your dreams no matter how great or how small. A portion of all sales goes to the adoption of children in state care programs.